I’m reaching out to you this morning to offer a reminder that I’ll be leading a special Shabbat service on this coming Shabbat morning, November 2. This will be a contemplative service, with a somewhat different style from the service I usually lead! We will chant one or two lines from each prayer, going deep into the sounds and into what the words mean, and then sit in silence to let each prayer reverberate in us. Although we will touch on all of the various steps in the standard Shabbat morning service — we will sing one chant which corresponds with each of our usual prayers — we will only be doing little pearls from each prayer. You might think of it this way: usually our Shabbat morning services are a grand banquet. This week we’ll still have each of those many courses, but we’ll pause to savor each course by focusing on a single flavor. The only prayer which we will recite in fulltext form will be the Mourner’s Kaddish, in order that we might fulfill the mitzvah of comforting mourners, and of accompanying our mourners as they walk the path of healing. Although most of us are accustomed to a more action-packed Shabbat service, there are deep connections between Shabbat and contemplative practice. The very word Shabbat comes from the root which means to rest and to be refreshed. Contemplative Shabbat practices offer us an opportunity to still the waters of the mind and heart, and to be at rest. 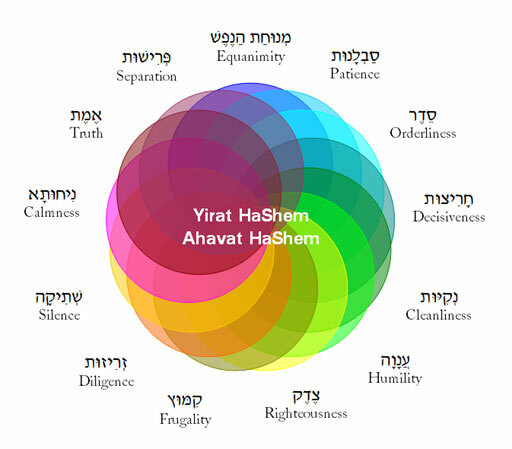 The Hebrew verb להתפלל, “to pray,” comes from a root which means “to judge oneself” or “to discern oneself.” As we chant, and sit in silence, and chant again, we’ll have an opportunity to discern what comes up for us as we enter into these prayers in this way. Here is the prayer for our Cemetery Committee and our Chevra Kadisha which was offered during services this past Shabbat, on Shabbat Chayei Sarah, when we read about Avraham purchasing a burial plot and burying his wife Sarah. We are grateful to You for instilling in us a love of life and a respect for death. Today we honor those who serve on our Cemetery Committee and those who lovingly prepare the dead for burial through our Chevra Kadisha. These generous members of our holy community both serve You and honor us with their dedication and loving kindness to our beloved dead. Through their commitment to the mitzvah of kavod ha-meit, honoring the dead, they also perform the mitzvah of nichum avelim, comforting the mourners, who are assured that their loved ones have been attended to with care and respect. We thank You, God, for our rich, loving, and wise tradition which deepens our connections to Life, to the meaning of death, to community, and to You. Once again, our regional Jewish community — sponsored by the Jewish Federation of the Berkshires and PJ Library — is collecting new pairs of children’s pyjamas for local families served by the Berkshire County office of the MA Dept. of Children and Families. CBI is the collection site for North County. What this means is: there’s a box in our foyer which has a sign on it indicating that it’s for collecting PJs for kids. It will picked-up during the first week in December. Between now and then, please bring new childrens’ pyjamas (all sizes) and place them in the box. 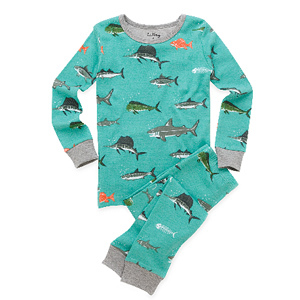 If you’re getting PJs for your own kid and can afford to spring for one more pair, please do. Last year more than 60 pairs of pyjamas were collected by the Berkshire Jewish community, and local families were so thrilled their kids had warm PJ’s for the winter. As we head into the cold season, imagine what it would be like to see your kid growing out of their PJs and to not be able to afford a few new pairs — and together let’s do what we can to help those families keep their kids warm. Several of you have asked me when we will hold another contemplative / chant-based Shabbat morning service. 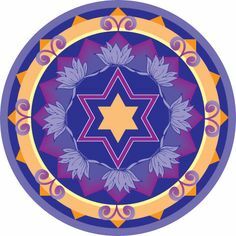 And the answer to that question is: our next contemplative Shabbat service will be on November 2, the week when we’ll be reading parashat Toldot. What is a contemplative chant-based service? During our contemplative Shabbat morning service, we’ll use a stripped-down liturgy. We’ll pray just one or two lines from each prayer, singing / chanting each line several times so that we can really get inside the words and the words can really get inside us. The aim is to move more deeply into each prayer’s theme, and to connect with gratitude, awe, light, love, redemption, and more! After each chant concludes, we’ll sit in silence for a few minutes so that the prayers can reverberate inside us before we move on. The silence following the chant is also part of the prayer — it’s an opportunity for the prayers to continue to move us, even during a pause between our singing. The practice of sitting still after prayer, to see what arises in us, can be very meaningful and sweet. Prayers for the sick will be included, as will a brief Torah reading. The only prayer we will recite in full-text form is the mourner’s kaddish. What melodies will we use? We will use the same melodies which we have used at previous contemplative / chant-based services. For your convenience, they are enclosed below — feel free to listen to them between now and November 2 (or to use them in your own private prayer practice) if you are so inclined. They are very simple melodies and can easily be learned at the service itself, too. מודָה אָנִי! / מודֶה אָנִי! I am grateful before You! Elohai neshama, shenatata bi, tehora hee. My God, the soul that You have placed within me is pure. Ashrei yoshvei veitecha, od y’hallelucha, selah! they will praise You, always! All that breathes will praise You! Baruch atah, Adonai eloheinu, melech ha-olam, Yotzer or u-vorei choshech, oseh shalom u-vorei et ha-kol. Blessed are You, Adonai our God, sovereign of creation, creator of light and former of darkness, maker of peace and creator of all. וְיַחֵד לְבָבֵנוּ לְאַהֲבָה וּלְיִרְאָה אֶת שְׁמֶךָ. V’yached l’vavenu, l’ahavah u-l’yirah et sh’mecha. Unify our hearts in love and awe of Your name! Hear, O Israel; Adonai is Our God; Adonai is One! עָזִי וְזִמרָת יָה וַיְהִי–לִי לִישֻעָה. Ozi v’zimrat Yah, vay’hi li l’y’shua. My strength is in Your song, and You will be my salvation. נפשי חולת אהבתך, אנא, אל נא, רפא נא לה! Nafshi cholat ahavatecha; ana, El na, refa na la. Your beloved is sick; please, God, heal her. אֵין עוד מִלבַדו, ה’ הוא הָאֶלהִים. Ein old milvado, Hashem hu ha-elohim. There is nothing but God; God is God. I keep God before me always.